We preach regularly on this page the necessity for three things to properly define who you are on-the-air: be honest with the audience, be comfortable enough to share your life with listeners, and tell stories. 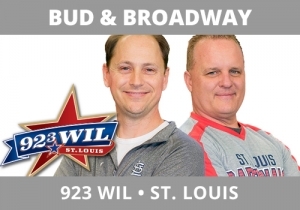 Enter Bud and Broadway, 92.3, WIL, St. Louis who do it effortlessly in this break. You disarm listeners when you are vulnerable. They actually get closer to you the more they know you. Broadway, talking about his relatives, referenced that he has a “white trash division” of his family. It’s a funny characterization that shows his comfort level with listeners. He then goes on to prove it by telling little funny stories that defines who he is, where he comes from, and his ability to poke at himself (and his heritage). As a result, he disarms the audience to do the same (we all have crazy relatives) and they get closer as a result. This is excellent character development.